Outstanding custom home in a highly sought-after location. Set up high with wrap-around porch and gated drive; a striking presence on a cul-de-sac street. 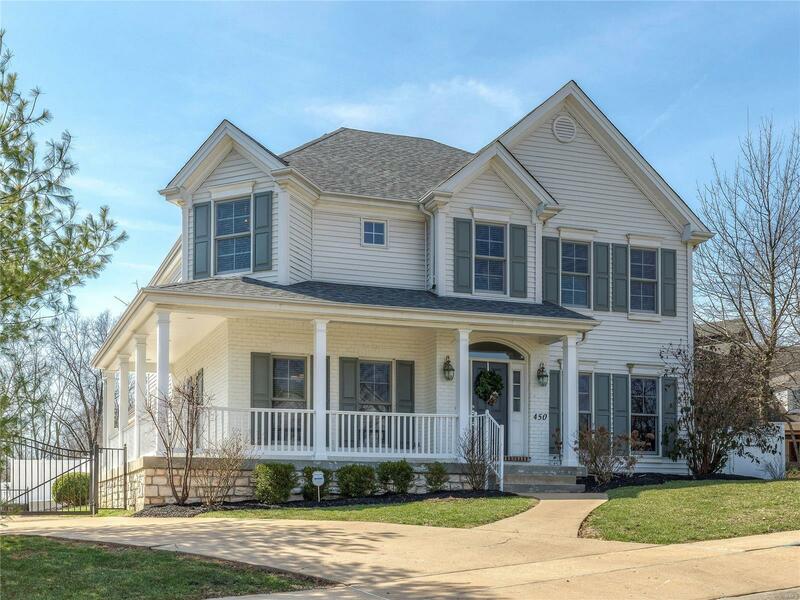 Enter to find a newer home with a phenomenal floor plan for most any size family and a long list of amenities including; 9 ft ceilings & HW floors on main level, large dining rm, beautiful library/office/formal LR w/built-in bookcases, wainscoting, crown molding. The heart of the home has kitchen, brkfst room & FR with stone FP. Kitchen w/42' light wood cabinetry, granite center island/brkfst bar, custom backsplash, & SS appliances. Main floor laundry, butler pantry/wet bar. New paint T/O. Upstairs 4 BRs with new carpet, 3 baths including a Jack & Jill bath, and two en-suite. Master suite with tray ceiling, his/her walk-in closets, gorgeous luxury bath w/whirlpool tub, and steam shower. BSMT is finished w/theater area, surround sound, bar w/sink & frig, workout area, half bath. Outdoors is a HEATED SW pool w/fountains, large patio.